Click on the Elements tab at the top of the Builder screen. Headings and subheadings make your content stand out and increases page usability by making it easy for readers to gather information. They also make your page search engine friendly, since search engines use headings as a relevance indicator. Either drag and drop the Heading element to your page, or click the Heading tool in the Elements tab. 2. Click the heading on your page and enter the title of your choice. 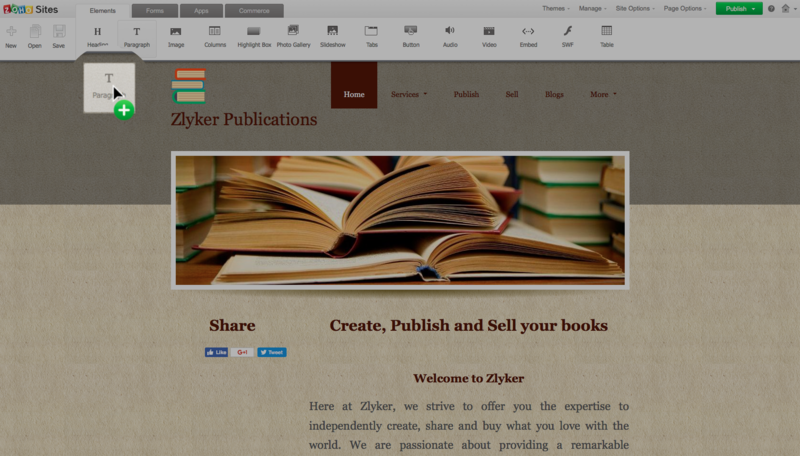 3.You can edit the font style, size, color, format, and alignment with the tools provided. Either drag and drop the Paragraph element to your page, or click the Paragraph tool in the Elements tab and start typing. 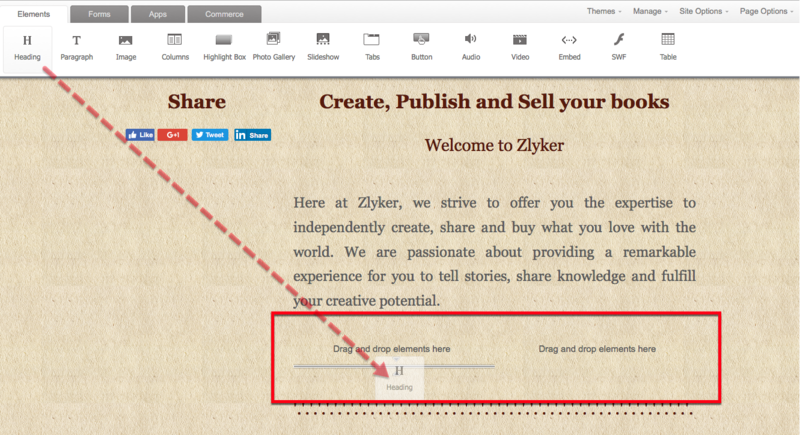 You can add multiple paragraph elements to the same page. A picture is worth a thousand words. Images create curiosity and draw readers' attention. Use them to add visual appeal to your website. Either drag and drop the Image element to your webpage, or click the Image tool in the Elements tab. 2. Click the File Manager or Web URL tabs to insert images or image source URL's. 3. To upload images to your image file manager, either drag and drop files from your computer, or click the Upload files button. 4. Add a caption to the image if you wish. Either drag and drop the Columns element to your webpage, or click the Columns tool in the Elements tab. 2. Select the number of columns and column ratio from the dropdown lists. 3. 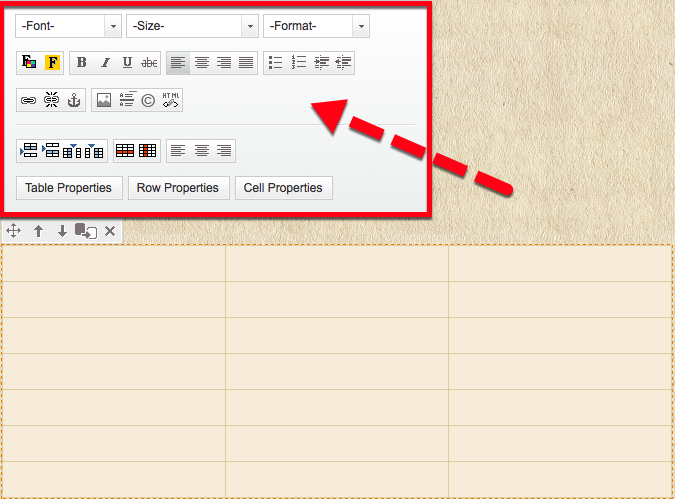 Drag and drop elements from the Elements tab to add content in the column area. Use the Highlight Box to boost your content's visibility. When your site is published, content in the highlight box will stand out from other content on your webpage. Either drag and drop the Highlight Box element to your page, or click the Highlight box tool in the Elements tab. 2. 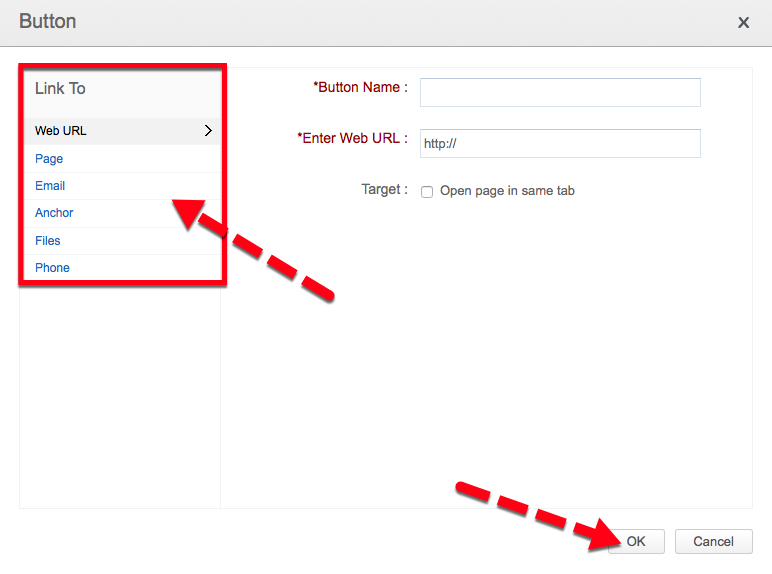 Click the highlight box on your page, then select your customization options. 3. Drag objects from the Elements tab, then drop them in the Highlight Box field to add content. A photo gallery can be effective in getting your products or services seen quickly. Either drag and drop the Photo Gallery element to your page, or click the Photo Gallery tool in the Elements tab. 2. 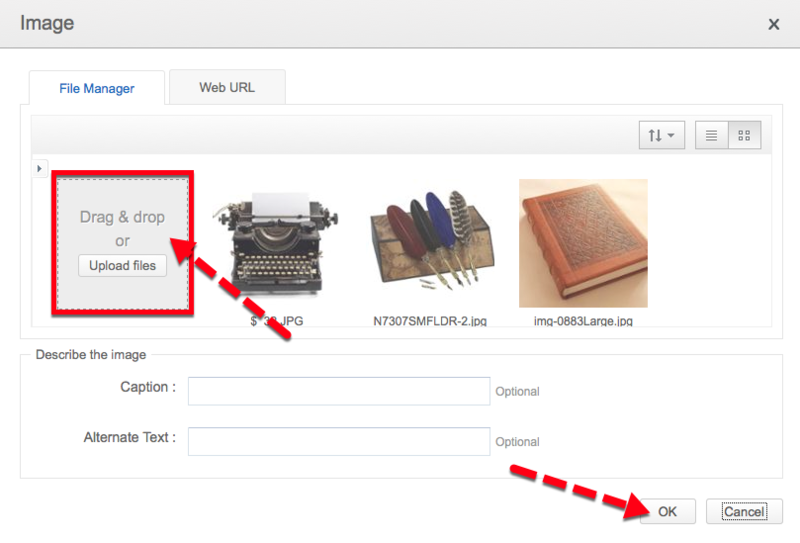 Drag and drop images, or click the Upload Files button to import pictures from your computer. 1. Click the gallery on your page. 2. Select Gallery Type, Spacing, and number of Rows and Columns from the popup. 3.Use the toggle switch to select whether to turn Captions ON or OFF. Using the Organize Gallery option, you can add more images to your photo gallery as well as captions for each image. You can also rearrange how you would like the images to appear in your gallery. Click the photo gallery on your page. Click Organize Gallery in the popup. Drag and drop image files from your computer, or click the Upload files button to add more images to your photo gallery. Click on the text area under your image to add a caption. Drag images to rearrange their order. 6. Click OK at the bottom of the page when you are satisfied with your changes. You can add as many photo galleries to your website as you'd like. Click Manage Photo Sets in the popup. Hover your mouse over the gallery to view the images in it. Click the text area below the photo set to change the galleries name. Click the Close when you are finished. Click the gallery on your page. Click the Delete icon [ ]. Note: Deleting the photo gallery from your page will only remove that element. The gallery will still be available in your photo set. It can be reapplied by clicking the Photo Gallery Element in the Elements tab and selecting that gallery. Click the Manage Photo Sets option. Click the delete icon [ ] on the top-right corner of the photo set in the Manage Photo Sets popup. 5. Click Close. Deleting the photo set will permanently delete the photos in your gallery. A Slideshow on your site is the easiest way to convey your message and captivate visitors. Like the photo gallery, you can organize the slideshow and manage photo sets. Either drag and drop the Slideshow element to your page, or click the Slideshow tool in the Elements tab. 2. Drag and drop files from your computer or click the Select Files button to choose what you want to include in your slideshow. 3. Click the slideshow on your page and select customization options from the dropdown menus. Like, slide transitions and the number of seconds for each display. 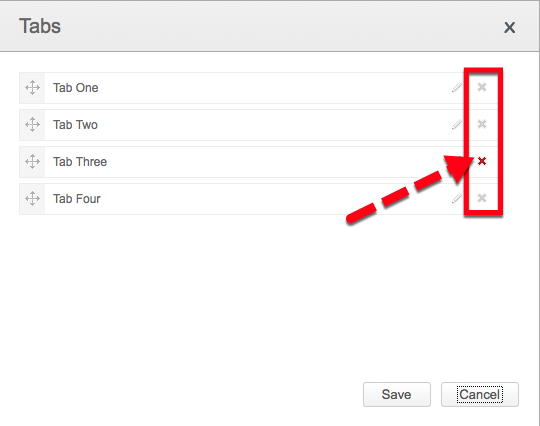 Use the Tab element to display your content in tabbed sections. Either drag and drop the Tab Element to your page, or click the Tab tool in the Elements tab. 2. Drag and drop elements from the Elements tab to add content to your tabs. Click the Tab element on your page. Click the Add Tab option in the popup. Click OK. A new tab will be created. Click the Organize Tabs option in the popup. Use the four-point arrow [ ] to the left of the tab name to drag and drop tabs and rearrange them. Click the Edit option in the popup to change the name of the tab. Select the Organize Tabs option from the popup. Click the Delete icon [ ]to the right of the tab name. A button is an interactive element on your site, used by visitors when they need to select an option or respond to a Call to Action(CTA). A few examples include "Add to cart", "Buy now", "Download", "Sign up", and "Learn more". Either drag and drop the Button element to your page, or click the Button tool in the Elements tab. 2. Select the Link To location from the menu on the left. 3. Enter the link details on the right-hand side. Click the Button element on your page. Choose from the tools provided in the popup to modify the features of the button. Either drag and drop the Audio element to your page, or click the Audio tool in the Elements tab. 2. 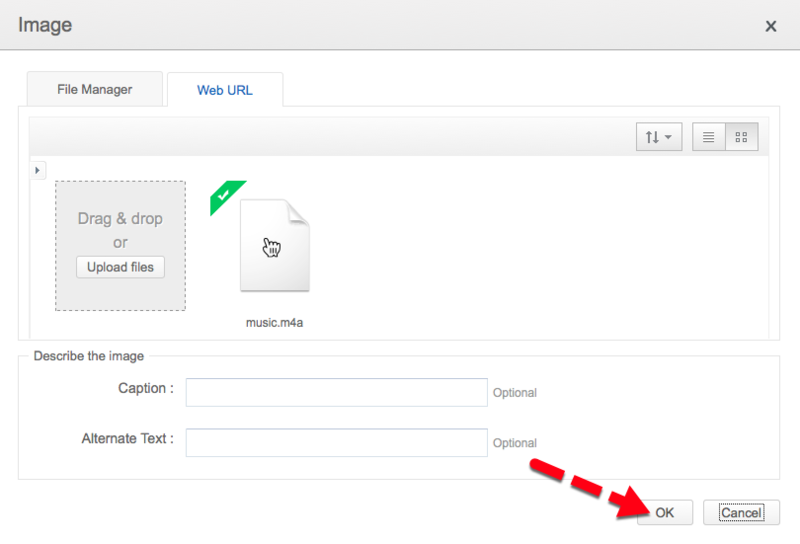 Drag and drop audio files from your computer or click the Upload Files button. 3. Click the audio file that you would like to insert in your webpage. The audio file that you have selected will have a green banner on it. 1. Click the Audio element on your page. 2. Use the Alignment buttons [ ] in the popup to adjust the arrangement. 3. Use the Toggle switch to turn Auto-play On or Off. Click the Audio element on your page. Click the Change Audio button in the popup. Click the Add Audio button. 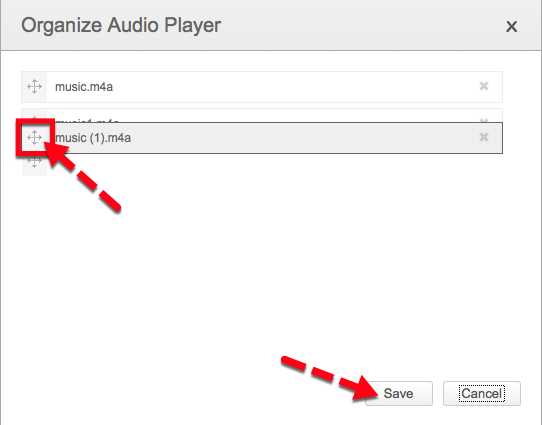 Drag and drop audio files from your computer, or click the Upload Files button. Click either the Change Audio or Add Audio button from the popup. Click the list view [ ] and thumbnail view [ ] buttons located on the top-right side of the File Manager to change the file's layout. 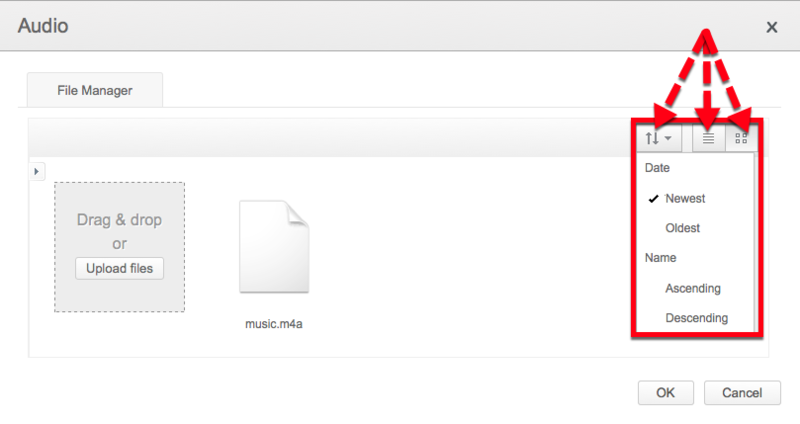 Click the Sort icon [ ] to arrange your files by date or name. A playlist is created when you have inserted more than one audio file. 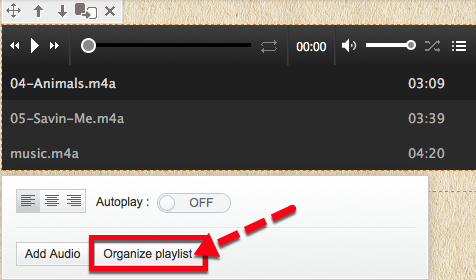 Click the Organize playlist option. 3. 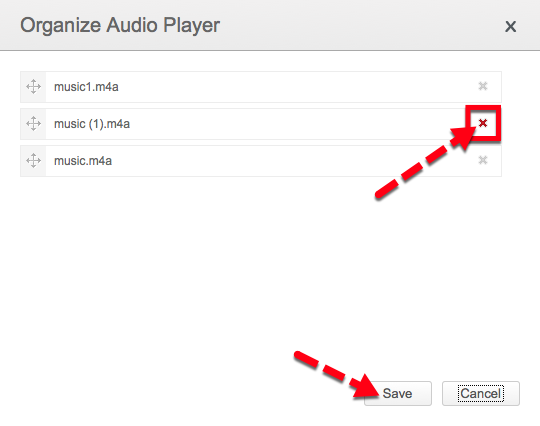 Click and drag the four point arrow [ ] on the left of the file name to rearrange the audio files in your playlist. 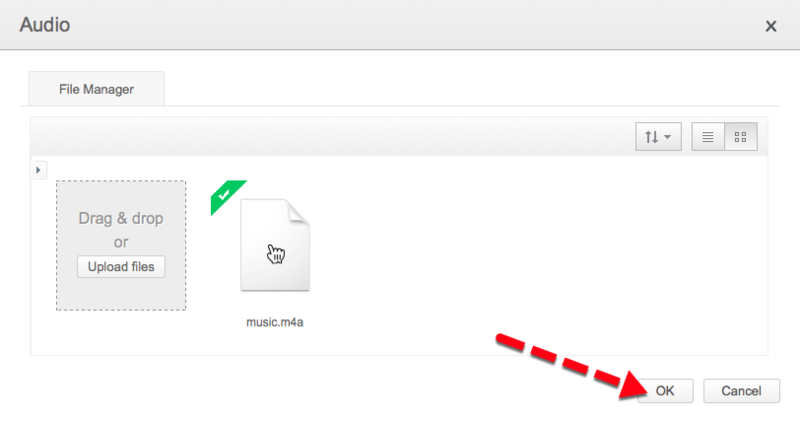 Click the Delete icon [ ] to the right of the audio file that you would like to delete. 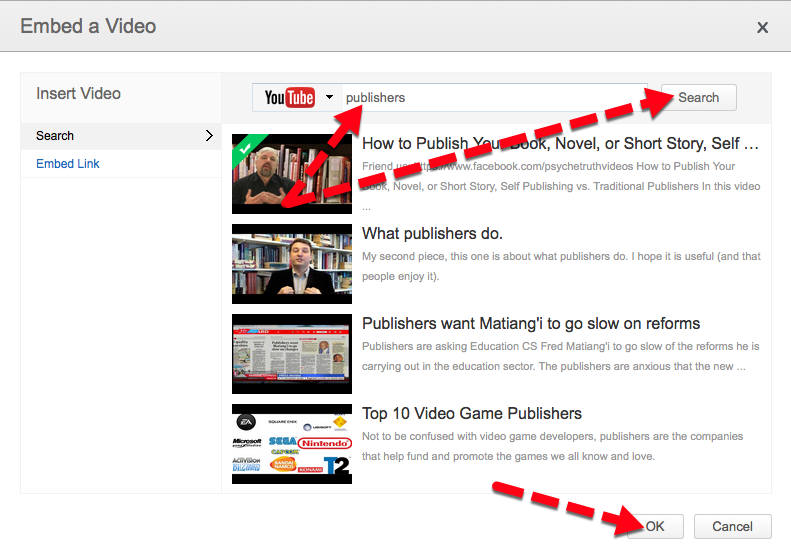 Either drag and drop the Video element to your page or click the Video tool in the Elements tab. 2. Click the dropdown menu and select the channel you would like to search. 3. Enter the video name video in the search box. 5. Click the video to select it. The selected video will have a green banner on it. After the video is embedded, click the video element on your page and use the tools provided in the popup to modify the video alignment. Use the Embed Element to insert widgets and script from another website into your site. Either drag and drop the Embed element to your page, or click the Embed tool in the Elements tab. 2. 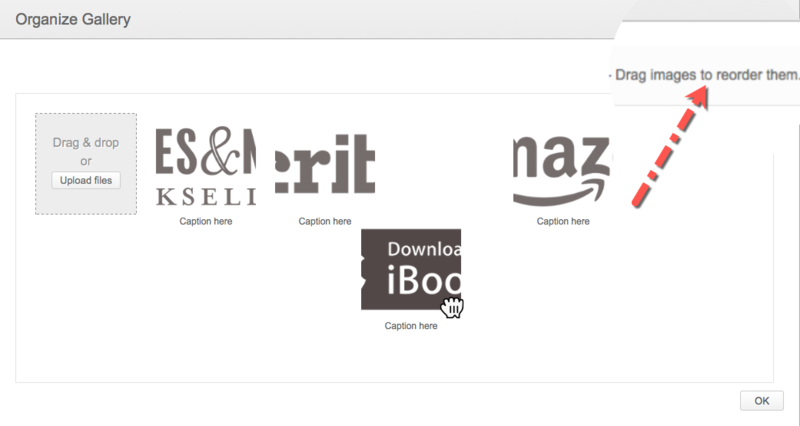 Select the Embed Type from the menu on the left. 3. Paste the code in the box on the right. 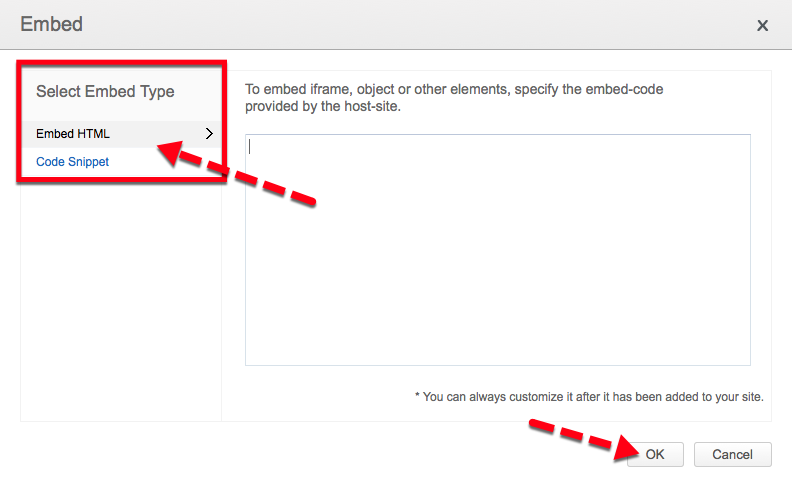 Use the SWF Element when you want to embed flash files on your site. 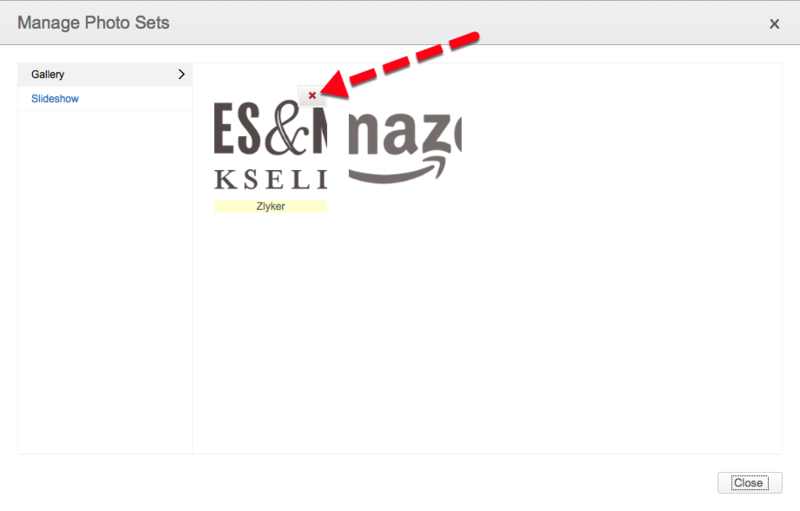 Either drag and drop the SWF element to your page, or click the SWF tool in the Elements Tab. 2. 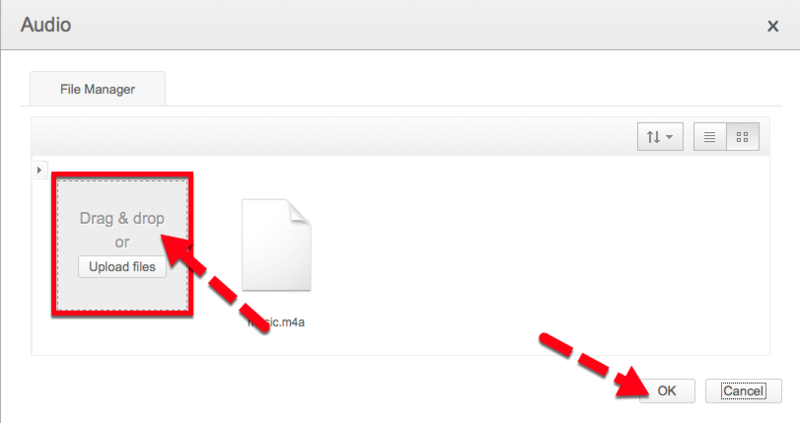 Drag and drop flash files from your computer or click the Upload Files button. 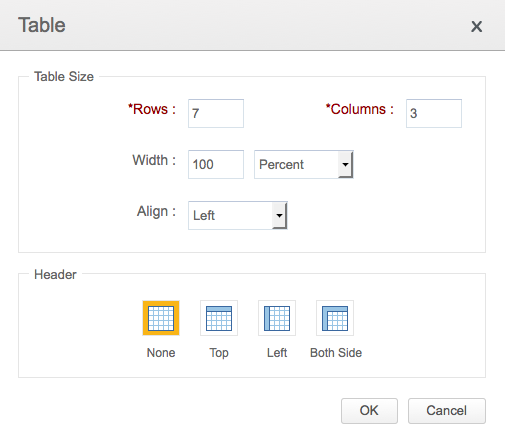 Either drag and drop the Table element to your page, or click the Table tool in the Elements tab. 2. Enter the number of rows and columns in the text boxes. 3. Choose the percentage and alignment from the dropdown menu. 4. Select how you would like the header of the table to appear. Click the table on your page. 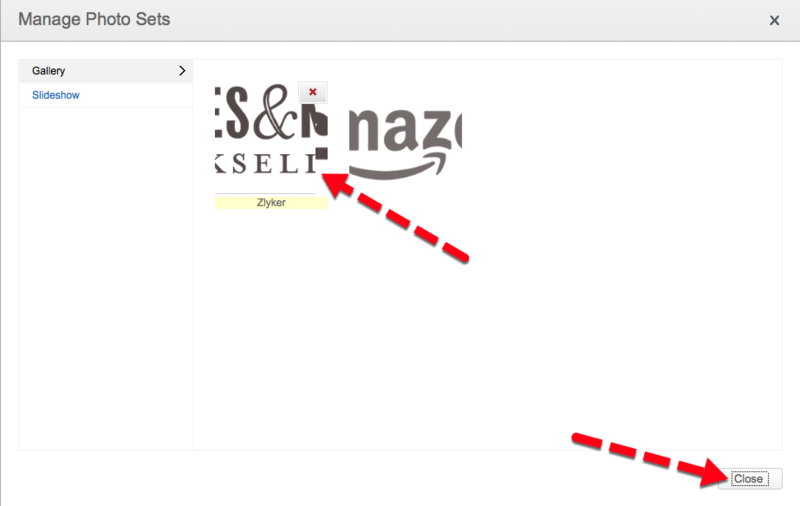 Select tools from the popup box to modify your table. Note: You can add inline images to your table by selecting the Inline image icon [ ]. Hover your mouse over the element on your page. 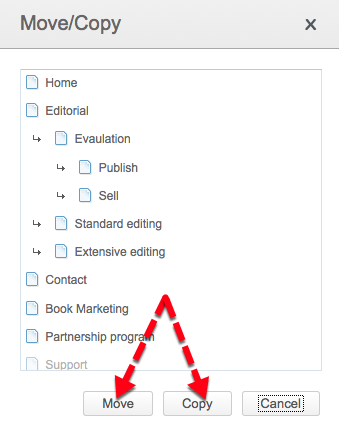 Click the four pointed arrow [ ] on the left of the popup to drag and move your content. 3. 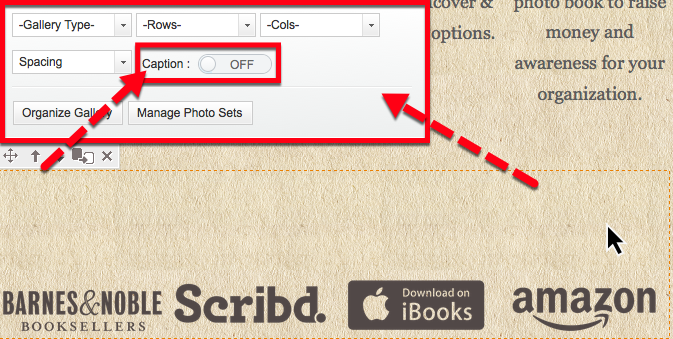 Or click the Up [ ] and Down [ ] icons to move your element higher or lower on the page. Use this option when you would like to move content from one page to another or if you would like to copy content from one page and paste it in another. 1. Hover your mouse over the element to be moved or copied. 2. Click the move/copy icon [ ]. 3. Click the page name to select it. 4. Click either Move or Copy based on the action you wish to perform. 1. Hover your mouse over the element to be deleted. 2. Click the Delete icon [ ] to the right of the popup. The Zoho Site builder comes with an autosave feature which automatically saves your work as you continue to create your site. 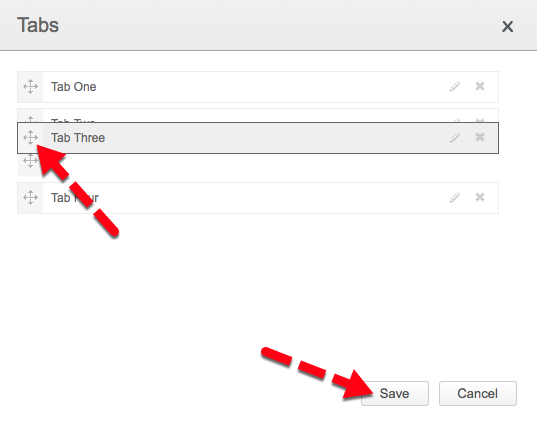 You can also manually save your work with the Save option. 1. Click the Save option on the left-hand side of the Builder page. Your progress will be saved instantly.